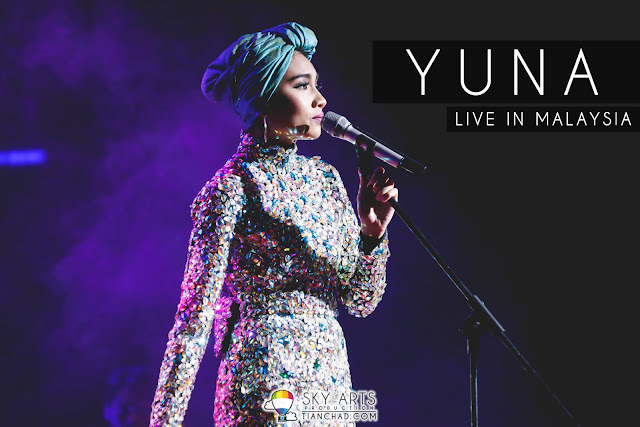 Close to 3,000 fans gathered at Plenary Hall, KL Convention Centre on 16 October to see Malaysia’s very own contemporary pop songbird, Yuna, perform live in an intimate homecoming show. 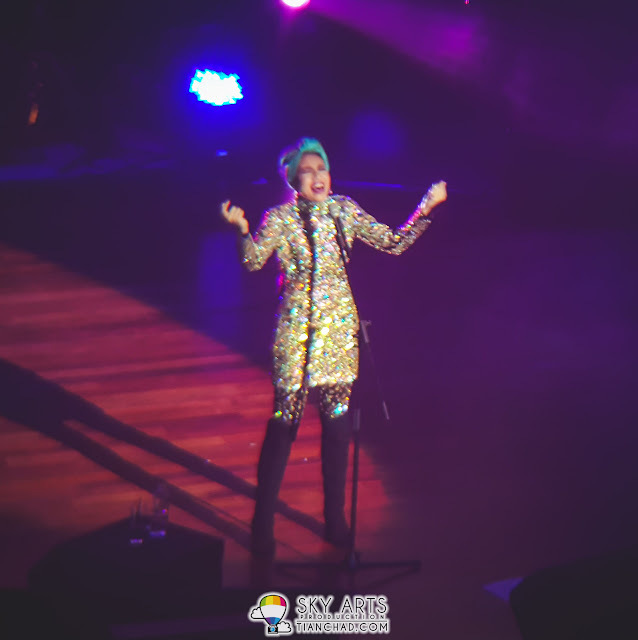 For one night only, internationally renowned singer and SK-II Malaysia’s ambassador, Yuna, enchanted Malaysia she returned home to perform her catchy music live at Plenary Hall KL, Convention Centre on October 16. 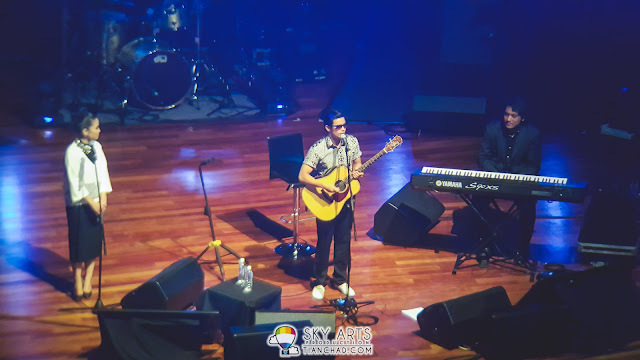 Organized by The Livescape Group and presented by SK-II, the concert saw close to 3,000 fans of all ages coming together for a night of shared interest to watch the amazing soloist perform in homeground. Yuna alongside her band performed to an enthusiastic crowd who were elated to see the talented vocalist as she returned home to perform in an hour and a half show. 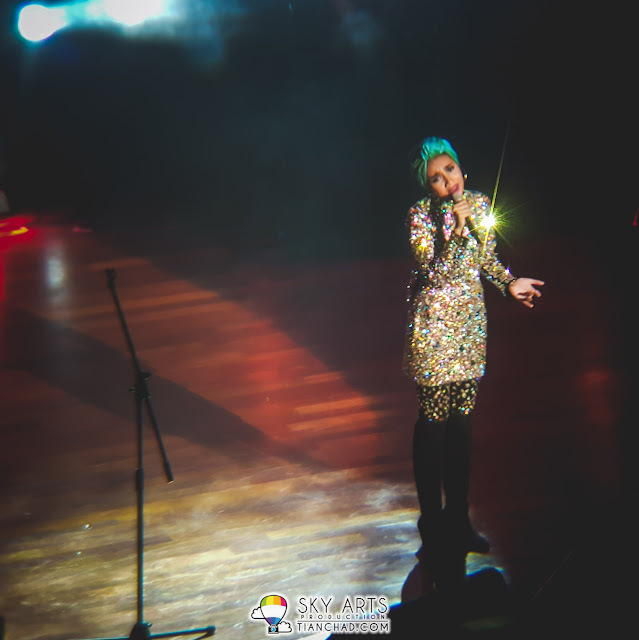 She performed her unforgettable international hits which had fans of all ages singing and humming along to every song on her set. Above photo is provided by Livescape Asia and scroll down below for some of the shots that I got by using my Samsung GALAXY Note 5 with a zoom lens. I am quite impressed with the zoom lens and how the photos turn out since I was sitting at the second last row, two level above. Excited fans started to gather at the venue as early as 6.00PM, as they were clearly eager to catch a glimpse of their favorite songstress. 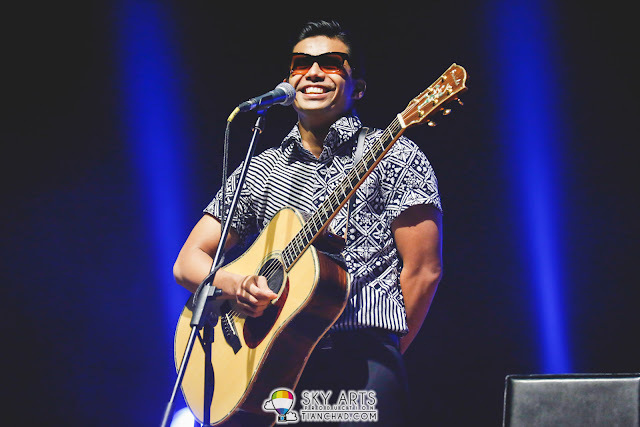 Opening the show for Yuna at 8.30PM was Noh Salleh, the popular vocalist of Malaysia’s award winning indie alternative rock band, Hujan. The multi genre talented performer entertained the crowd with his diverse range of music as he built up the energy before Yuna took to the stage. 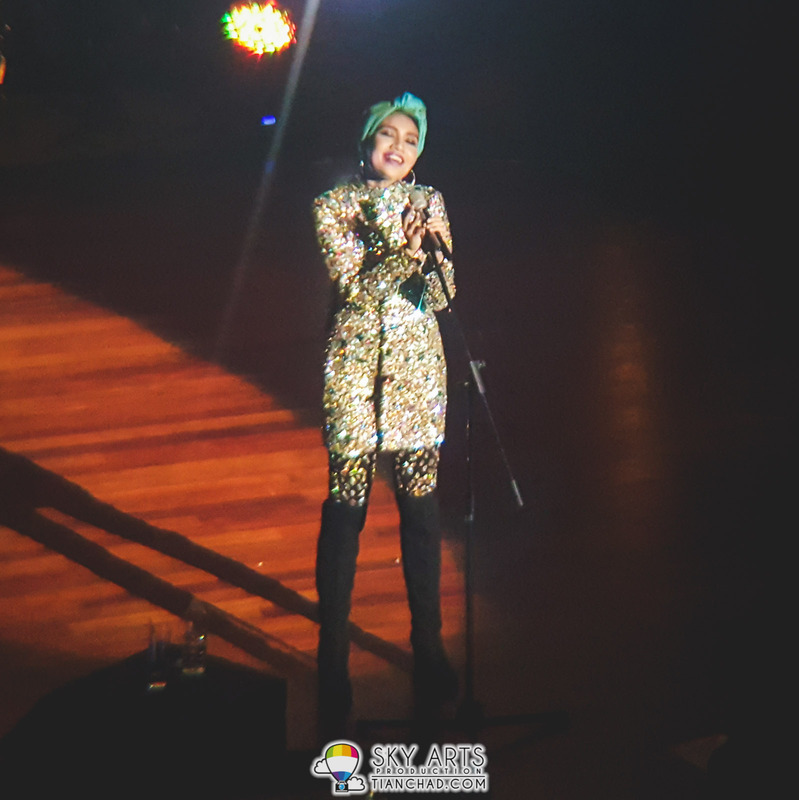 Noh Salleh ended his set to a thunderous roar from the crowd as fans were anxious to finally see Yuna perform. Yuna finally took the stage and she did not disappoint her loyal fans as she performed a mix of her most popular English and Malay songs such as Falling, Rescue, Terukir Di Bintang, Material, Lelaki, Live Your Life, Lullabies, Lautan and many more. 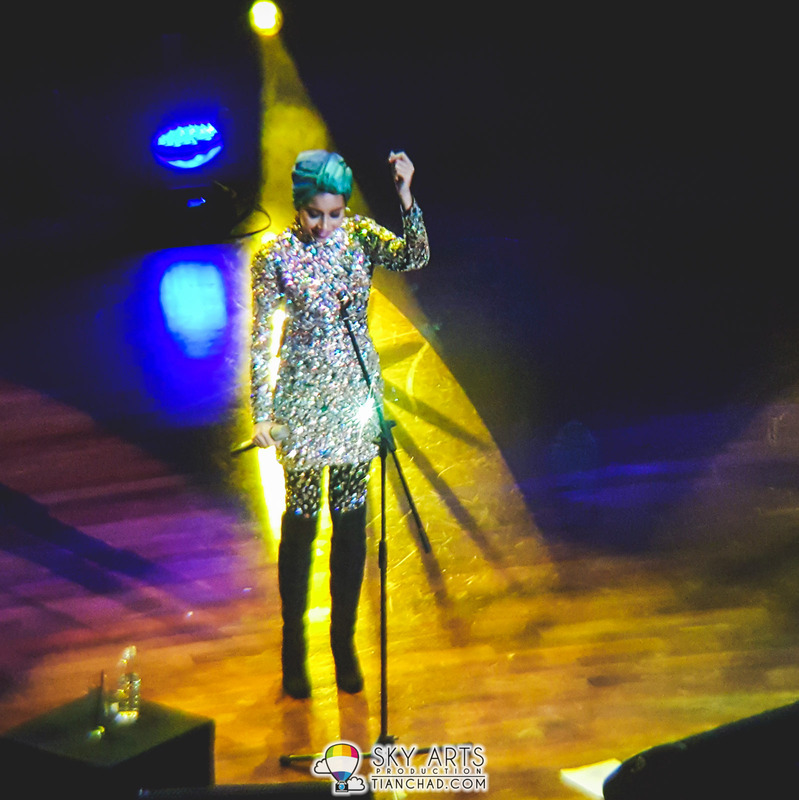 The sensational singer with the hypnotic voice captured everyone's full attention and had fans singing along to all her songs. The “Yuna Live in Kuala Lumpur” show organized by The Livescape Group and presented by SK-II was an entertaining and memorable night for all as the charismatic singer brought the house down with her songs to a crowd of all ages. This was one of the few performances where young and old alike came together for a night of shared interest to witness Malaysia’s very own Yuna, perform music which appeals to people of all ages. For more information and updates on upcoming shows, visit the Livescape website at http://www.livescape.asia/ or follow them on www.facebook.com/livescapeasia or @LivescapeAsia on Twitter. This was actually my first time seeing beautiful booth being set up at a concert venue. 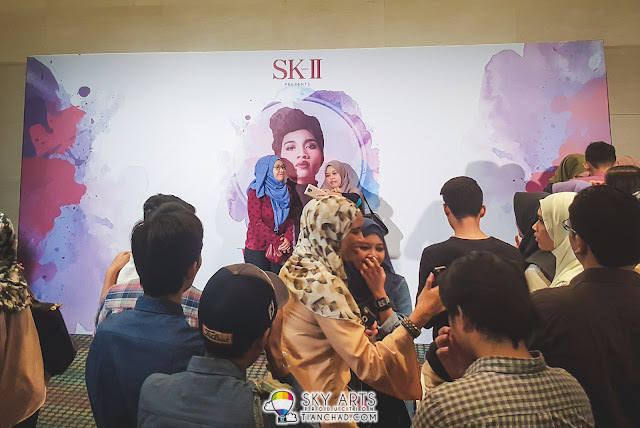 Other than the elegant SK-II product booth, they have this beautiful backdrop for everyone to take photos. I saw some other booth that sell plants/cactus inside glass and it looks pretty hipster. I didn't care much to check them out at first place since I was worried that I would miss the concert. Now I miss it. Was it a shop from Subang Jaya?? 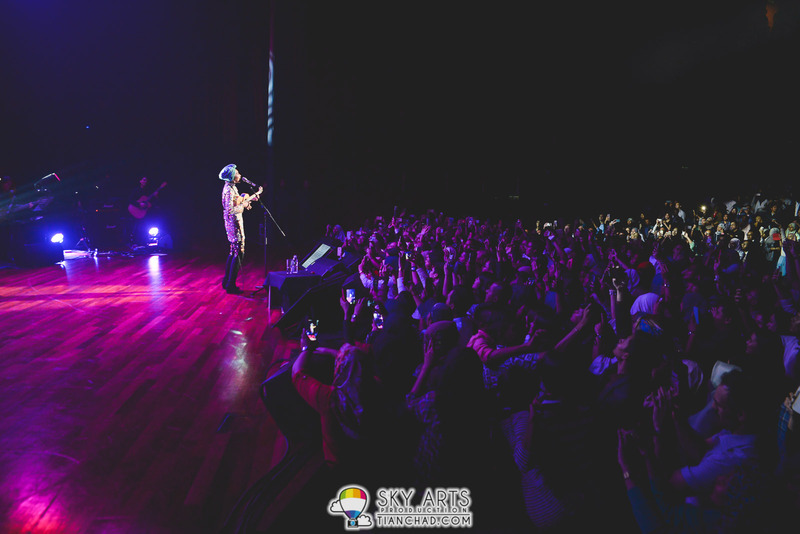 If you wondering how is the view when you are sitting far behind, above is the picture of how your favourite artist gonna looks like. 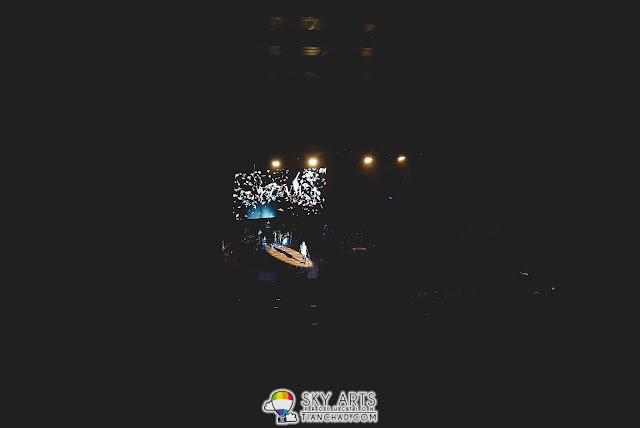 If you are not a camera person, bring a binocular for better view kay? 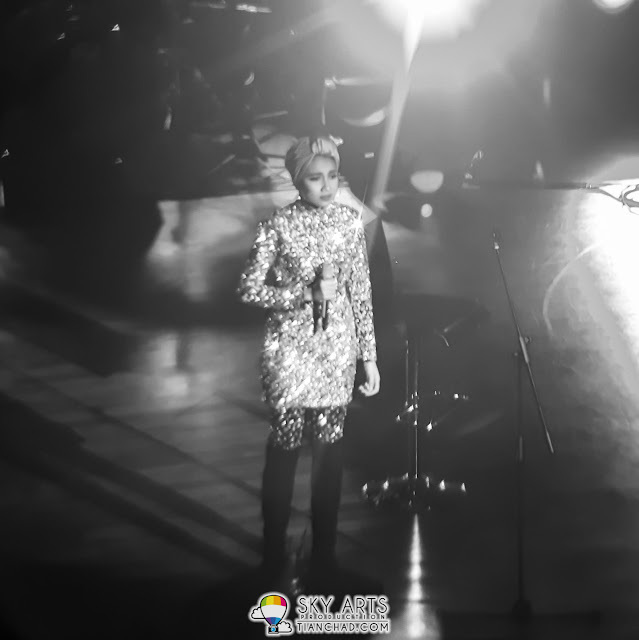 Because there is no other screen showing zoomed in footage of Yuna. This is how the photo gonna looks like after I max out the digital zoom on Samsung GALAXY Note 5. 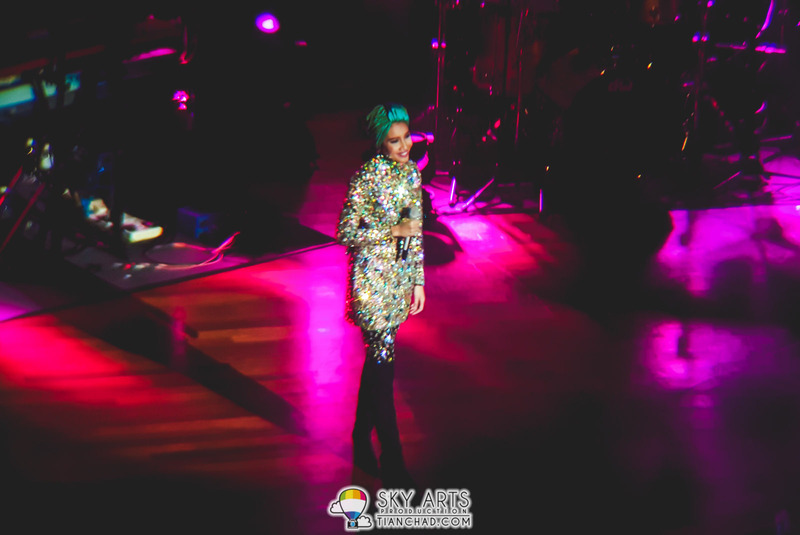 It looks kinda pixelated and not clear at all. If you want a wider scenery photo, this quality would do. 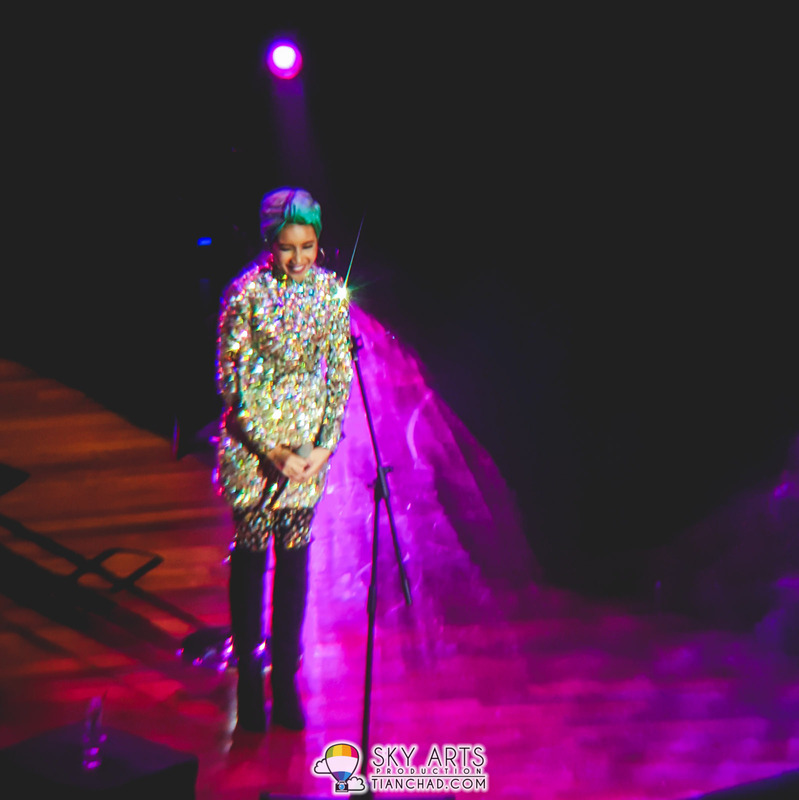 But as a photographer myself, I just tend to improve the photo and make it look as nice as possible. That's why I brought along a zoom lens for smartphone and below are the quality that I got. Do note that the longer you zoom in your camera, your image will be less stabilised and blur. Therefore do bring along a mini tripod if possible if you want to use the telephoto zoom lens for smartphone. Below are all photos taken using #myGALAXYNote5 and the zoom lens. Lots of bad shot since I only use the cushion seat in front as my stabilizer. Even with just a tiny movement my shot will become blur. 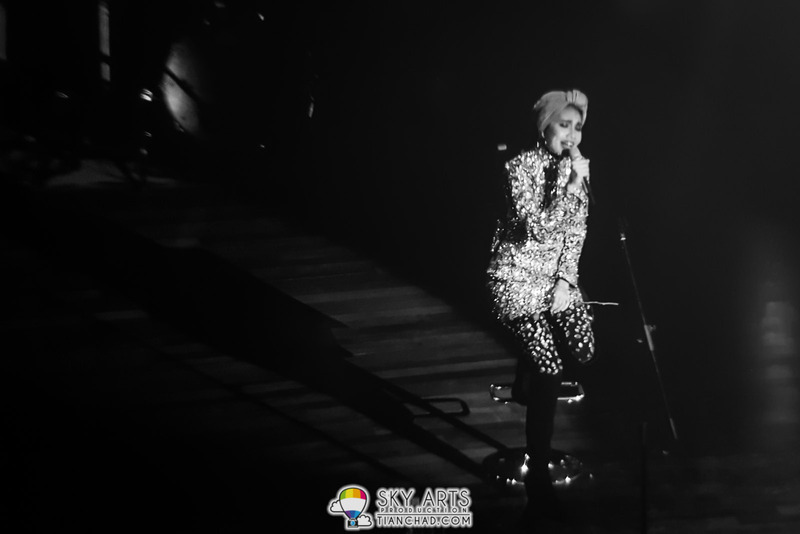 Anyhow below are the concert shot that I would like to share with you guys. 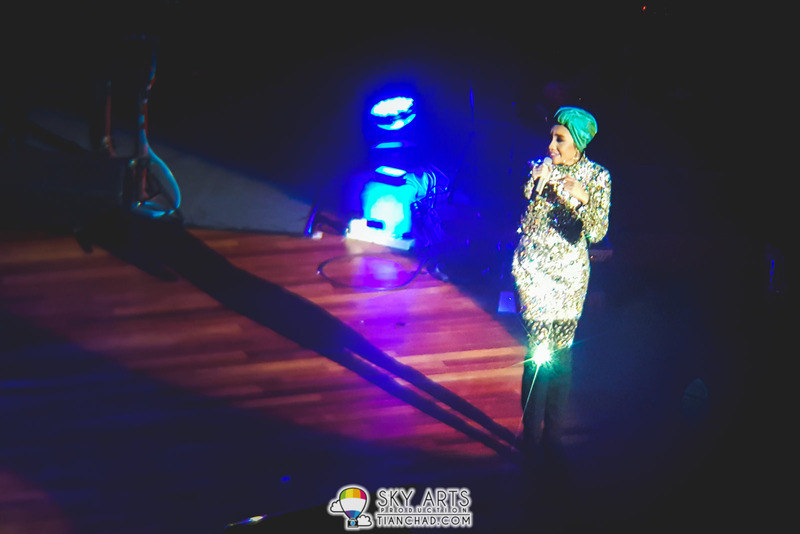 That night Yuna wore the most sparkling dress I have ever seen. Love how the lights reflected and created those light sparkle especially when Yuna dance around. 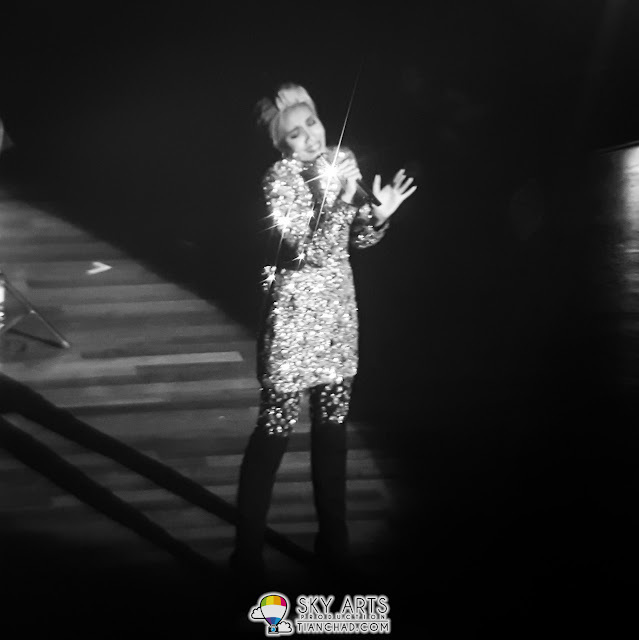 Some shots that I have decided to convert to black and white since the red and purple light doesn't makes Yuna look pleasant in the photos. 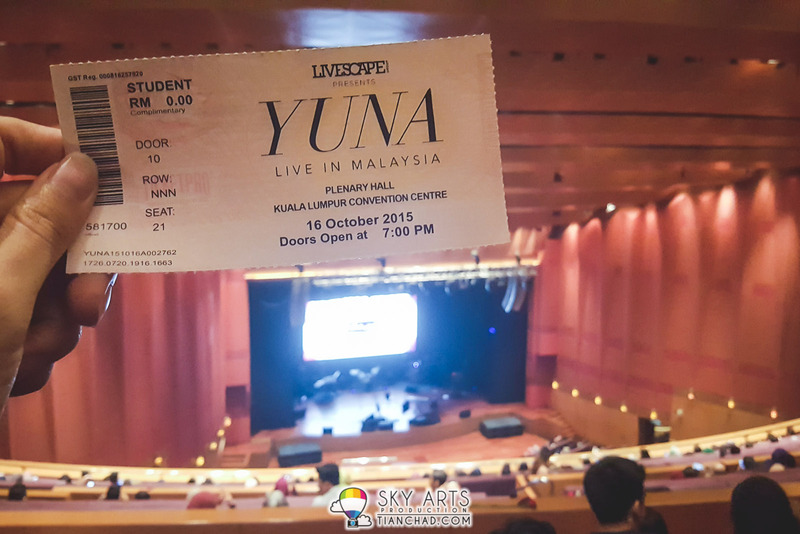 Overall, I like Yuna concert as a whole. 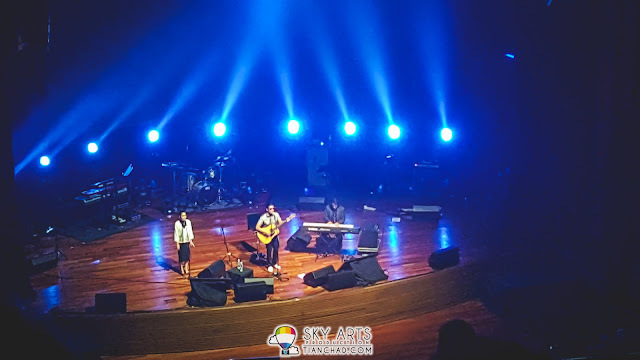 The stage is really simple with just a screen behind with some occasional flowers blooming by following the music. 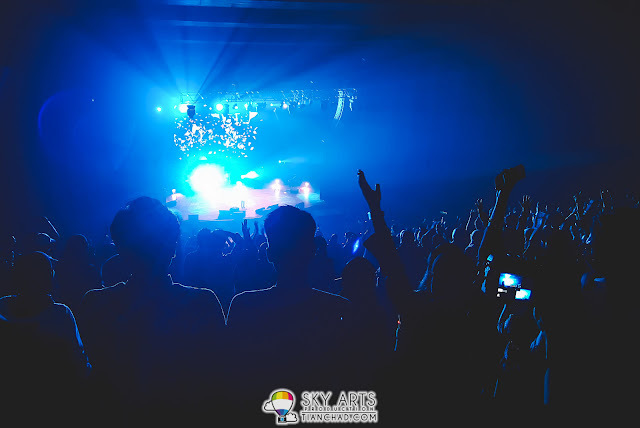 If you are sitting at the ground floor, middle seat you would have seen the best view among us all. 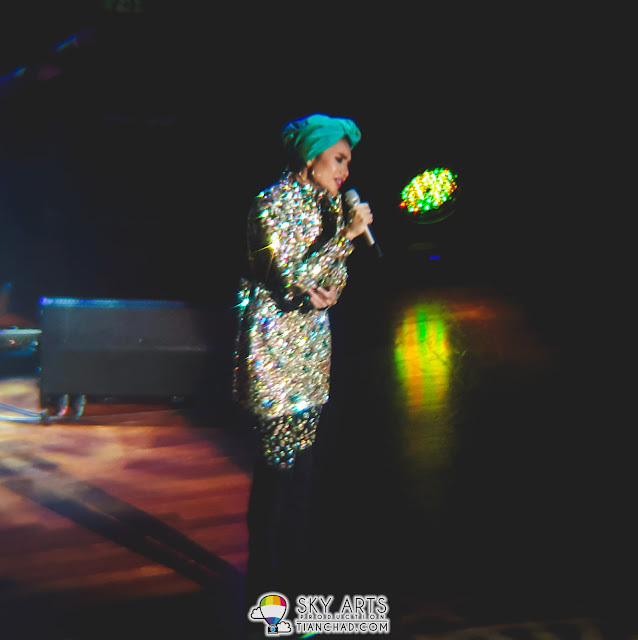 PS: The spotlights in KLCC Plenary Hall can really blind my eyes for second hahaha. 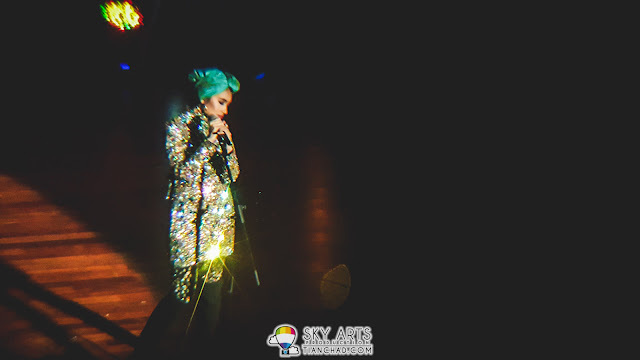 It was so glaring when the spot light shining straight on us. 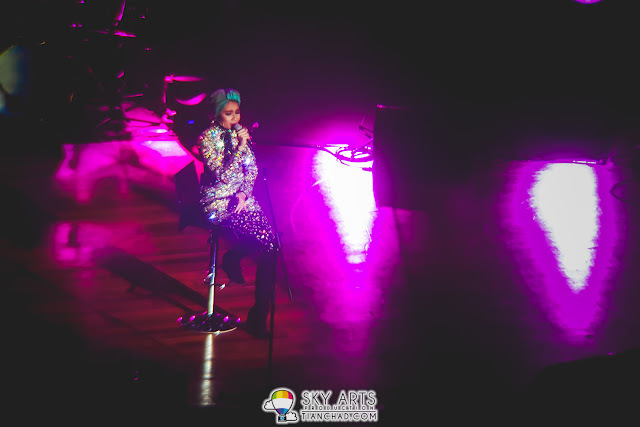 Last but not least, ending this post with a powerful picture of Yuna Live In Malaysia and a snippet of the encore song - "I Wanna Go".